Simple Volume-Based Pricing from 39¢. Contact us for lower pricing! First time trying their coffee & tea brand? Try their Sample Packs! Learn more about Intelligent Blends on their full website. Our readers are being offered an exclusive discount! Enter the code NAM at checkout to receive $2 Off your order! This offer is ongoing! I almost always have a cup of coffee on my desk. I love different flavors and I love when it's fresh brewed. Last year, I finally got my hands of a Keurig and it was one of the best investments of my life. There's nothing like getting a fresh cup of coffee anytime you want one. However, the environmentalist in me had a hard time with the disposable packages. It seemed like a lot of waste to generate for a single cup of coffee. I even bought a reusable filter so I could use my own coffee, but that is way messier than I anticipated. Finally, with Intelligence Blends I found a way to satisfy by craving without impeding my conscience! 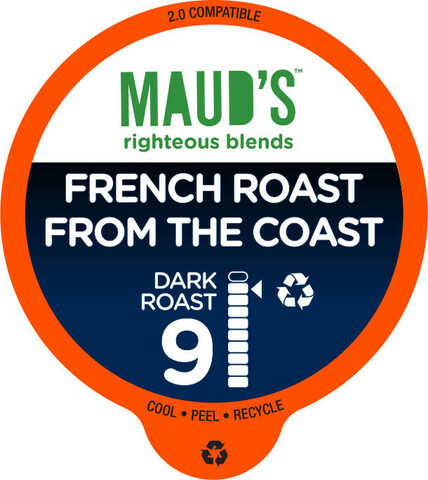 Not only does this coffee offer a delicious variety of flavors, their packages can be recycled! French Kiss Dark Roast- This is a nice bold roast with hints of caramel & chocolate. It's the perfect way to start off your day. Tall, Dark & Handsome Dark Roast- This one is so strong, it will put hair on your chest, but that's just the way I like it. It's bold but a touch of hazelnut, caramel, and brown sugar keeps it balanced. 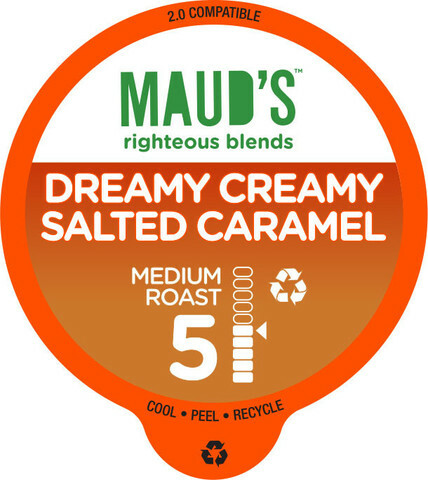 Maud's Sister Hazel(nut) - This is a fun hazelnut blend that is very smooth and nutty, but also has a little bit of a sweet side. Dreamy Creamy Salted Caramel - I loved them all, but this one was my favorite. I'm a big fan of salted caramel in general, so having it in a coffee version was a dream come true. 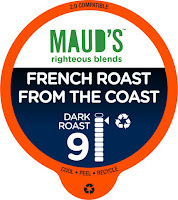 This one is a lighter roast with mild acidity and a medium body. The pods offer the perfect serving size, making your coffee just the right strength every time you brew. Normally, I have to use the smaller serving size to get my coffee strong enough, but with Intelligent Blends, the larger brew came out perfectly. That means I'm using half the pods I normally use in a single day on top of already getting a great price. But the best part is, when I'm done drinking my coffee, I can take the containers and toss them right into our recycle bin with our bottles and cans. I am getting everything I want with Intelligent Blends--a unique variety of coffees to please my taste buds and an environmentally friendly option. What more can I ask for? If you would like to learn more about Intelligent Blends and all they have to offer, including their wide range of flavors, you can visit their website. To keep up with future products and promotions, be sure follow them on their social media. 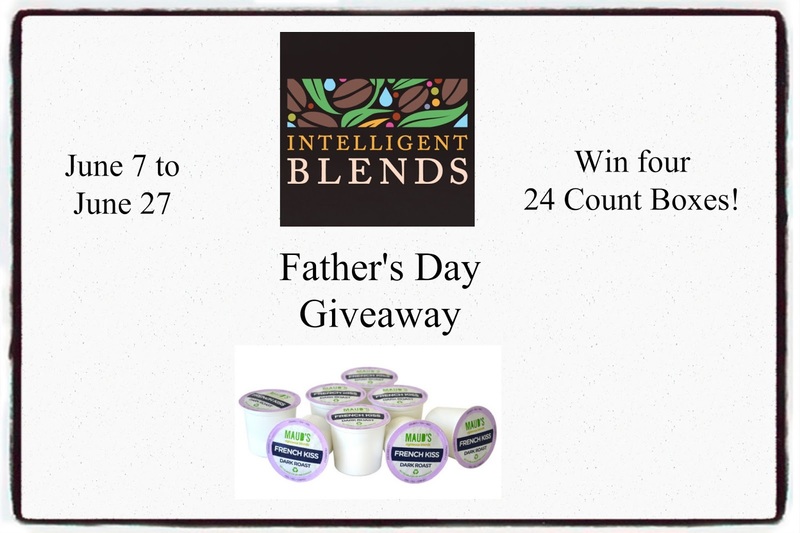 One lucky winner is going to receive 4 delicious boxes of K-cups with 24 pods in each box. 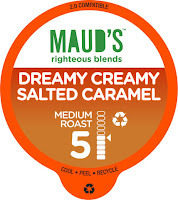 Flavors include: French Kiss French Roast, Tall, Dark & Handsome, Dreamy, Creamy Salted Caramel, and Maud's Sister's Hazel(nut). To enter just fill out the giveaway tools form below. Open to the US only. Giveaway will end 6/27/16 at 11:59 EST. The winner will be notified via email and will have 48 hours to reply. 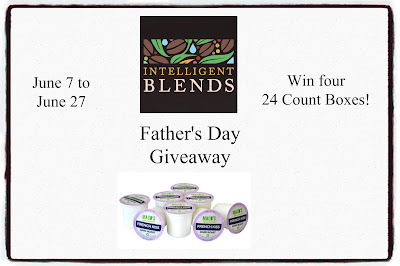 Thanks again to Intelligent Blends for offering this fantastic prize! i want the tall, dark and handsome. it sounds really good to me. My favorite product would be the SALTED CARAMEL COFFEE PODS. I love the names of these coffees! I would want to try the "Tall, dark and Handsome" because I enjoy a darker roast and what an awesome name! I'd like to try Tall, Dark and Handsome. Love dark roast coffees. My favorite is a breakfast blend. The creamy salted caramel sounds amazing! Dunk Your Donut Shop sounds great...I love the name and the coffee sounds great too. I would like the Tall Dark and Handsome blend. The Tall Dark and Handsome Blend sounds great to me. I'd love to have a cup right now. Breakfast blend would be perfect for my entire family. I want to try the Colombian coffee pods. 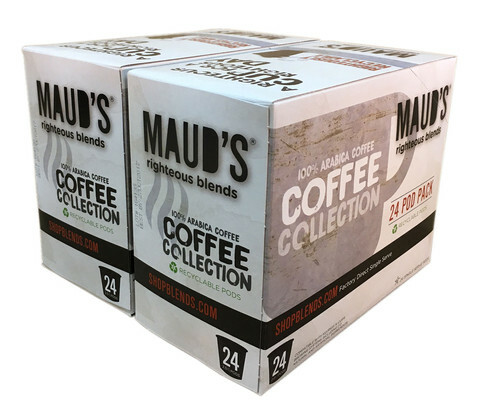 Even though I have never tried their coffee, I would have to say my favorite product would be their Maud's In The Blend Gourmet House Blend Pods. I am a meduium strength coffee drinker and this one sounds really good. I will say the Hazelnut would be my favorite blend. They do have quite a few of them, something for everyone to enjoy. I like to try the Hazelnut Coffee Pods. 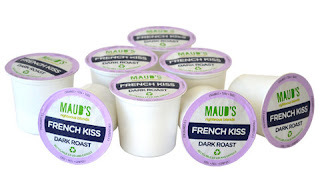 I'd like to try Maud's Mellow Mood decaf coffee! My favorite will be SALTED CARAMEL, for sure!